Paris, 26 June 2018 - Pursuant to market rumours, during the trading session on 25 June 2018, Eutelsat Communications S.A. (“Eutelsat”) issued, at the request of the UK Panel on Takeovers and Mergers (the “Panel”), a press release confirming that it was considering a possible offer for Inmarsat, without any certainty that an offer would be made. This statement was made in strict compliance with Rule 2.2 of the Code. 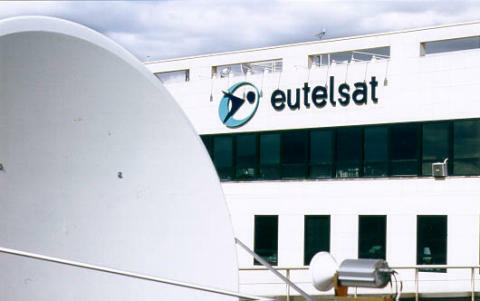 Eutelsat hereby states that it does not intend to make an offer for Inmarsat and is consequently, except with the consent of the Panel, bound by the restrictions set out under Rule 2.8 of the Code applicable during six months from the date of this announcement. Eutelsat reserves the right to announce an offer or possible offer for Inmarsat or participate in an offer or possible offer for Inmarsat or take any other action which would otherwise be restricted under Rule 2.8 of the Code within six months from the date of this announcement in the following circumstances: (i) with the consent of the Board of Inmarsat; (ii) if a third party (including another publicly identified potential offeror) announces a firm intention to make an offer for Inmarsat; (iii) if Inmarsat announces a “whitewash” proposal or a reverse takeover; or (iv) if the Panel determines there has been a material change of circumstances. A copy of this announcement will be available, subject to certain restrictions relating to persons resident in restricted jurisdictions, at www.eutelsat.com, by no later than 12 noon (London time) on 27 June 2018. The content of the website referred to in this announcement is not incorporated into and does not form part of this announcement. This announcement is not intended to, and does not, constitute or form part of any offer, invitation or the solicitation of an offer to purchase, otherwise acquire, subscribe for, sell or otherwise dispose of, any securities, or the solicitation of any vote or approval in any jurisdiction, pursuant to this announcement or otherwise. Any offer, if made, will be made solely by certain offer documentation which will contain the full terms and conditions of any offer, including details of how it may be accepted. 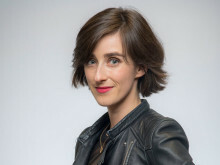 The distribution of this announcement in jurisdictions other than the United Kingdom and the availability of any offer to shareholders of Inmarsat who are not resident in the United Kingdom may be affected by the laws of relevant jurisdictions. Therefore any persons who are subject to the laws of any jurisdiction other than the United Kingdom or shareholders of Inmarsat who are not resident in the United Kingdom will need to inform themselves about, and observe, any applicable requirements.